When you purchase your admission tickets you will receive them immediately by email as an e-ticket. 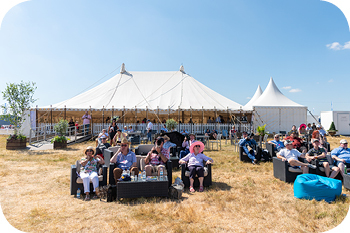 Under 18's go FREE when accompanied by a ticket holder to the 2019 Air Tattoo. Please select your free of charge children's passes when ordering. Combined Admission with Shuttle Bus from Swindon is only £4 extra per day when bought with an admission ticket. A combined Admission with Park & Ride from Cheltenham Racecourse is just £6 return per day when bought with an admission ticket! Find out more about these great ways to travel to the Air Tattoo HERE. 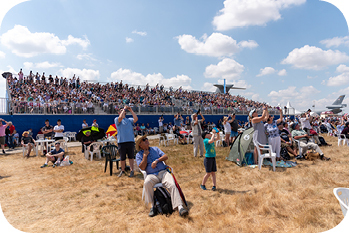 If you have mobility issues please be aware that the Air Tattoo is held over a vast distance, up to 2 miles from one end to the other. 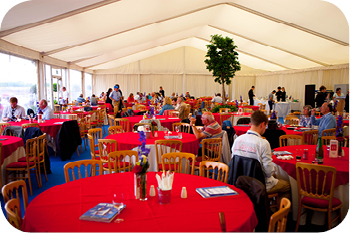 If you wish to attend find out more about our disabled and mobility facilities HERE. Information on our disabled facilities and carers concession (must be pre-booked by telephone) can be found HERE. Upgrade your day out with an enclosure package! To compare all our enclosure facilities and benefits, click HERE. 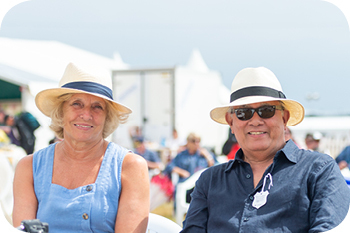 Sit in our Garden or get a great photographer's view from the Grandstand - premium or standard. Watch all the amazing flying from your seat with lunch included! Relax with lunch, all day tea and coffee and more in our Cotswold Club. 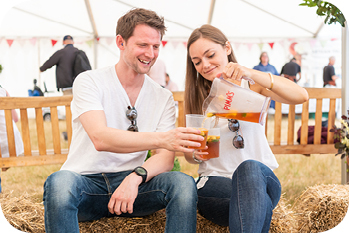 VIP parking, coffee, lunch, afternoon tea and a private garden, located back from the crowdline. 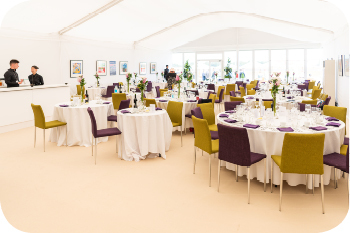 VIP parking, relax in this sophisticated environment with all day catering and bar! VIP parking, 5-star hospitality in luxurious surroundings. Purchase tables from 2-12.